With the 48-Hour Refresher Program, you can complete the live components of the National Registry EMT and AEMT recertification entirely online. The course consists of 24 two-hour modules that can be taken anytime, 7 days per week. You need to take all 24 modules, but you can complete them in any order you would like. After signing up, you can complete the course in one week or take up to 2 years to finish it. An AEMT can combine this class with 24 hours of additional continuing education and a CPR card in order to meet re-registration requirements. This program is a traditional 24hr NREMT-B Refresher. The ALS NCCR program meets the required hours for the NREMT’s latest requirement for Paramedics, the National Continued Competency Requirements (NCCR). These are live courses and are 15 classes of the 48-hour refresher. The BLS NCCR program meets the required hours for the NREMT’s latest requirement for BLS Providers, the National Continued Competency Requirements (NCCR). These are live courses and make up 10 classes of the 24-hour refresher. You do not have to take them in order. Critical Care Transport prepares medical professionals to function as competent members of a critical care team by covering the material that everyone—paramedics, nurses, physicians, and specialty crew—needs to know to operate effectively in the critical care environment. Using two-hour modules, this 60-hour program will cover basic and advanced topics in Critical Care Transport and Retrieval. To help ensure that medications are delivered in an effective and efficient way, it is important for EMS providers to be familiar with the rationale and contraindications for using certain delivery routes for medications given in an EMS setting. This course will discuss how to ensure effective medication delivery with strategies such as the “six rights” and other best practices. It reviews oral, sublingual, buccal, subcutaneous and intramuscular injections, intravenous and intraosseous injections, inhalation and nebulization, and intranasal and transdermal deliveries. Featuring Jon Polities, BA, NREMT-P, MPA. Chief of EMS, Colonie EMS, Town of Colonie, NY. 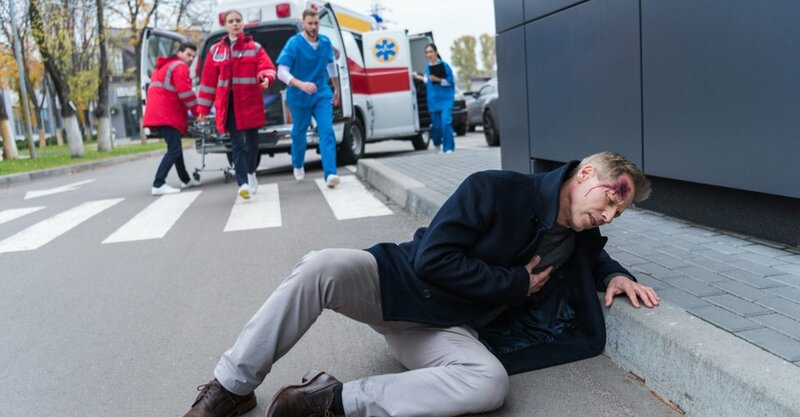 Incidents of pediatric cardiac arrest (PCA) are among the most anxiety-provoking, high-stakes calls that EMS providers receive, and chances for patient survival are slim. 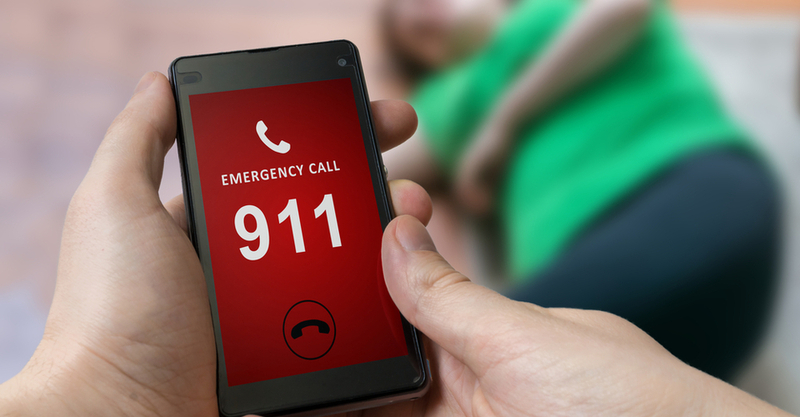 Yet some agencies have greatly improved their PCA survival rate by reacting to pediatric calls with initial treatments similar to that for an adult cardiac arrest, and adopting best pre-arrival and on-scene practices that are easy to implement. This course will review the common aspects of pediatric cardiac arrest, best practices for treating pediatric out-of-hospital cardiac arrests, how community outreach and education can impact patient survival, and the roles that provider mindset and self-care play in providing the best care for PCA patients. Featuring Dr. Paul R. Banerjee, DO, Medical Director for Polk County (Fla.) Fire Rescue. 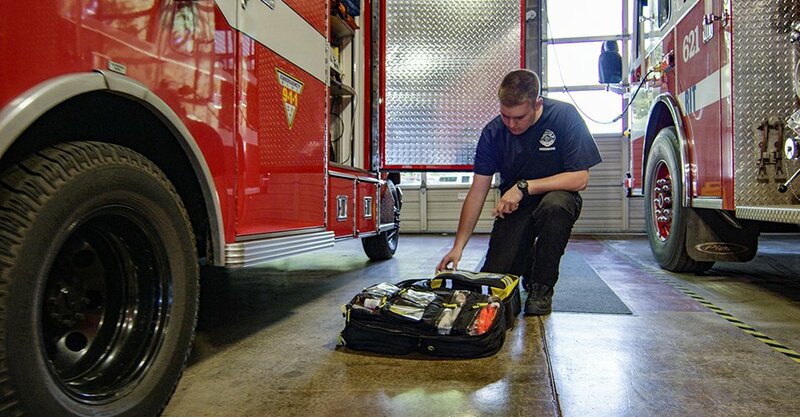 EMS providers must be prepared to respond to the growing number of opioid-related incidents. This course explains how opioids work and why they can be so addictive. It also includes how to recognize and treat an opioid overdose and what EMS providers can do to help protect themselves and the communities they serve from the dangers associated with the opioid epidemic. Featuring John Butler, MS, EFO, FSEDI, NRP, Fire Chief/Chief EMS Officer, Howard County, Maryland; and Dr. Matthew J. Levy, DO, MSc, FACEP, FAEMS, Medical Director of Fire & Rescue, Howard County, Maryland. Respiratory Protection for Emergency Responders focuses on the risks emergency responders can face when encountering airborne hazards and how to reduce or eliminate that risk. The course features Bill Richard, NREMT-P, lead instructor for Crozer-Chester Medical Center EMS, Chairperson of the Toxic Fire of ‘78 Memorial Committee. Research continues to confirm that the rate of some cancers among firefighters is greater than that of the general population. This program is intended to raise awareness among fire service personnel about the elevated risk of cancer associated with working as an emergency responder to a fire-related emergency. Emergency Responders, Fire and Cancer provides personal accounts of people affected by cancer, an overview of the relationship between firefighting and cancer, and an introduction to basic intervention strategies for line personnel to help reduce exposure to carcinogens and other harmful materials. A portion of the proceeds from this program is donated to the Firefighter Cancer Support Network (FCSN). Featuring Bryan Frieders, Deputy Chief, Pasadena CA Fire Department and President of FCSN. Michael Dubron, Firefighter, Paramedic and Founder of FCSN. Dr. Gavin Horn, PhD, Director of Research Programs, Illinois Fire Service Institute (IFSI) at the University of Illinois. Dr. Michael Hamrock, MD, Steward Medical Group, Chestnut Hill, MA, and former Firefighter and Department Physician, Boston Fire Department. Melissa Aman, wife of the late Craig Aman, a 26-year veteran Firefighter/Paramedic and Captain for the Seattle Fire Department. Could the care you are giving as an EMS provider be harming your patients? It’s possible, especially if your patient care is based on personal opinion or tradition and not scientific evidence. This program will introduce you to the role research plays in developing evidence-based treatment guidelines for use by EMS providers in medical emergencies. The course reviews what research is and its practical use in EMS; the impact research has on improving patient care, as well as patient and provider safety; and why these developments are important to EMS providers and their patients. Featuring Megan Corry, MA, EMT-P, Paramedic Program Director and primary instructor at the City College of San Francisco Paramedic Program. Explains the guiding principles and benefits of Crew Resource Management (CRM), an important tool for safety professionals. CRM emphasizes effective teamwork, strong team leadership skills and the importance of workload management and post-incident critiques. CRM tools help improve responder safety and patient care during incidents. Featuring Bruce Evans, CFOD, NRP, SEMSO, Fire Chief at the Upper Pine River Fire Protection District, Bayfield, Colorado. Provides specific tools that EMS providers can use or exhibit to help improve care for patients in many cultural contexts. Certain populations are vulnerable to healthcare disparities and the Affective Characteristics course focuses on 11 behaviors that advance professionalism and cultural competence. Featuring Leaugeay Barnes, BS, NRP, CCEMT-P. She currently serves on the NREMT and NAEMSE Board of Directors and teaches at Kapi'olani Community College in Hawaii. This series of 48 presentations covers the most important topics of disaster and counter-terrorism medicine, including mitigation, preparedness and response strategies, and specific disaster scenarios such as earthquake, hurricane, CBRNE and asymmetric terrorist attack. This library of presentations helps EMS personnel, hospitals, muncipalities and schools learn the skills and strategies of disaster and counter-terrorism medicine. Developed and narrated by Dr. Gregory Ciottone, the world’s leading expert in disaster and counter-terrorism medicine and Associate Professor of Emergency Medicine at Harvard Medical School. By correctly interpreting vital signs, the EMS professional can indentify life-threatening emergencies, predict the severity of a patient's hemodynamic state, determine treatement and correctly monitor the overall condition of the patient. This course reviews the importance of assessing and interpreting the vital signs and how to use these findings to improve the quality of patient care. This program will help EMS providers understand the physiological and psychological differences among the geriatric population and provide an EMS responder with a good foundation for developing effective communication and assessment tools in order to provide quality patient care. Featuring Christopher Shane Henderson, B.S., FF/EMT-P Adjunct EMS Instructor St. Petersburg Fire & Rescue St. Petersburg College. Sudden cardiac death (SCD) accounts for approximately 5% of all deaths. This program will discuss the circumstances surrounding SCD, contributing factors, and methods to reduce the risk of SCD, as well as how the EMS professional assesses a patient who has died. If a patient isn’t breathing, they are dying. Airway care is critical, yet it is the most failed skills test in the National Registry of EMT testing. Course offers in-depth review of airway care skills, featuring demonstration of a variety of artificial ventilation techniques. Featuring Joe Mistovich, M. Ed., NREMT-P, Professor, Youngstown State University, Ohio. Safe driving techniques, common causes of accidents, and ways to improve your skills are highlighted. When responding in emergency mode, personnel must drive with “due regard” and operate within states laws regarding emergency vehicle response. An operator of an emergency vehicle is responsible for the safety of themselves, the crew, and the patient. This class reviews steps for safe lifting and moving. Power lifts, squat lifts, and power grips are defined and demonstrated. Patient-moving devices and three types of emergency moves are reviewed and demonstrated. The class re-emphasizes the importance of good physical fitness and conditioning, as well as the use of good body mechanics to prevent injury. Duty to Act, Scope of Practice, Standards of Care—what does it all mean to you? In this program, the scope and depth of the responsibilities of an EMS provider are reviewed, along with patient’s rights, types of consent, and the correct way to transfer or terminate care. Excellent documentation on every patient is essential and the key to avoiding litigation. Featuring Matt Streger, Paramedic Attorney at Law at Kern Augustine Conroy & Schoppmann, P.C.